Greetings from AY Heavy Industries. 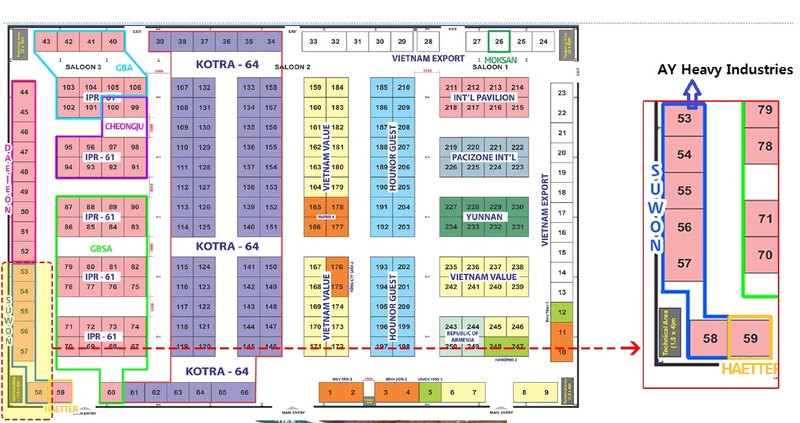 - Venue : Hanoi Internation Exhibition Center(ICE). 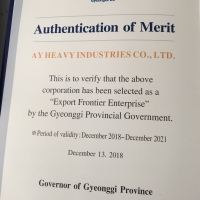 Location of AY Heavy Industries is Swon, South Korea. Head office / R&D center : #402, Kyonggi Univ. Business Center, 154-42, Gwanggyosan-Ro, Yeongtong-Gu, Suwon-Si, Gyeonggi-Do, Republic of Korea. Copyright©2016 AY Heavy Industries All Right Reserved.